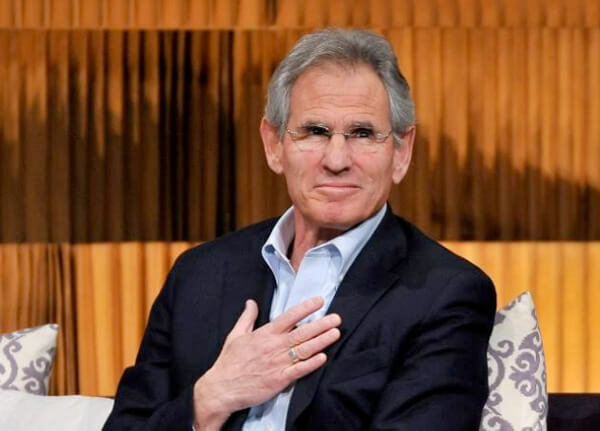 Jon Kabat-Zinn is a Professor of Medicine Emeritus, mindfulness teacher, best selling author and founder of the groundbreaking Mindfulness Based Stress Reduction (MBSR) program Jon Kabat-Zinn is founding Executive Director of the Center for Mindfulness in Medicine, Health Care and Society at the University of Massachusetts Medical School. He is also founding director of UMass Medical School’s renowned Stress Reduction Clinic and Professor Emeritus of Medicine at UMass Medical School. Jon created the Mindfulness Based Stress Reduction (MBSR) program, an 8-week meditation program developed to help patients cope with stress, pain and chronic illness through mindfulness. Jon is the founding convenor of the Consortium of Academic Health Centers for Integrative Medicine. He also continues to serve on the board of the Mind and Life Institute. Dr. Kabat-Zinn has received numerous awards for his work on MBSR such as the Interface Foundation Career Achievement Award and the New York Open Center’s 10th Year Anniversary Achievement in Medicine and Health Award in 1994; the Art, Science and Soul of Healing Award from the Institute of Health and Healing, California Pacific Medical Center in 1998; the 2nd Trailblazer Award for pioneering work in the field of integrative medicine by the Scripps Center for Integrative Medicine in 2001; the Distinguished Friend Award from the Association for Behavioral and Cognitive Therapies in 2005; and, an Inaugural Pioneer in Integrative Medicine Award from the Bravewell Philanthropic Collaborative for Integrative Medicine in 2007. He is also founding fellow of the Fetzer Institute and fellow of the society of behavioral medicine. Dr Kabat-Zinn is also author to numerous publications and books on mindfulness and MBSR. His internationally bestselling books include ‘Wherever you go, there you are’, ‘Full catastrophe living’ and ‘Letting everything become your teacher.’ Dr. Kabat-Zinn earned his Ph.D in Molecular Biology from the Massachusetts Institute of Technology. He studied meditation under the tutelage of Thich Nhat Hanh and Seung Sahn. He also continued these studies in meditation at the Insight Meditation Society, where he eventually also became one of its teachers. Join me as an affiliate for the Mindfulness Summit. How can i purchase my own copy of the summit? How does the summit raise money for charity if its free?